Citrus & ginger are a bit of a favourite combination of mine. 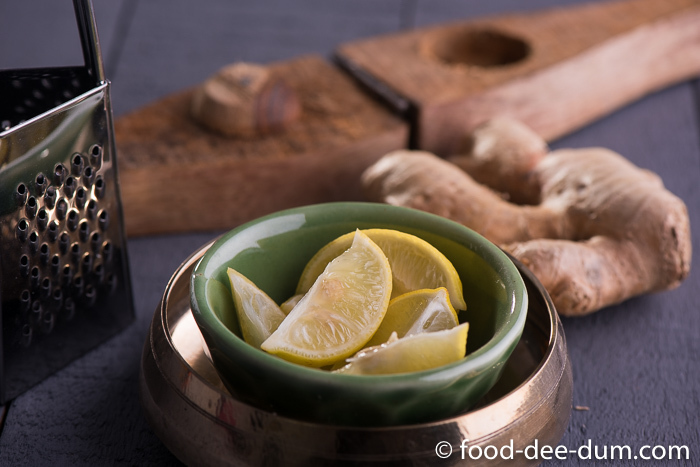 I love the warm, spicy earthiness of ginger and adding some lemon or orange to it just elevates it to the next level. Not to mention the pretty pink colour, which makes more than half the brownie points in my book! The reason I like this drink so much is that it is quick and easy to make, yet delicious and looks sophisticated. And it’s pretty! In pink. You can serve this as is, or spike it with some gin/vodka/ rum – they all work pretty well. Add a slice or two of cucumber or green apple and it becomes even fancier. Do I really need to convince you any further? 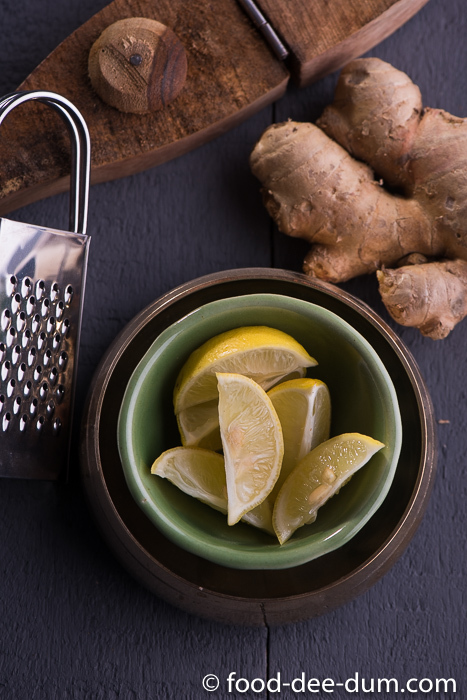 Place the grated ginger and lemon juice in a small saucepan and let it sit for 2-3 minutes to allow them to turn pink. Add the sugar and ¼ cup water to the saucepan and place it on high heat. Bring the mixture to a boil. Lower the heat and simmer for 2-3 minutes, stirring to ensure the sugar has dissolved. Take this off the heat and give it a few minutes to return to room temperature. If you’re in a hurry, then just shake this with 2-3 cubes of ice in a shaker to cool it down quickly. 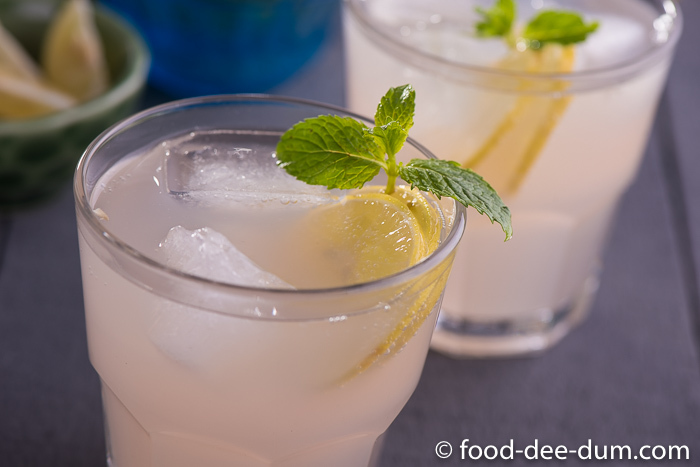 Divide this ginger-lemon mixture amidst 4 glasses, add a few cubes of ice and top with club soda. 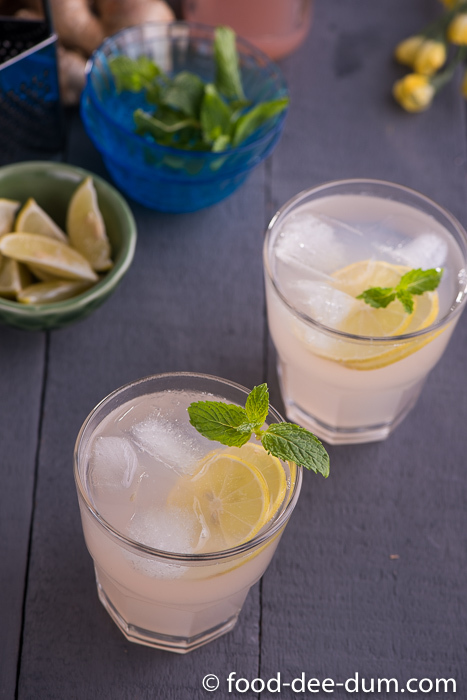 Serve garnished with a slice of lemon and/or a sprig of mint. 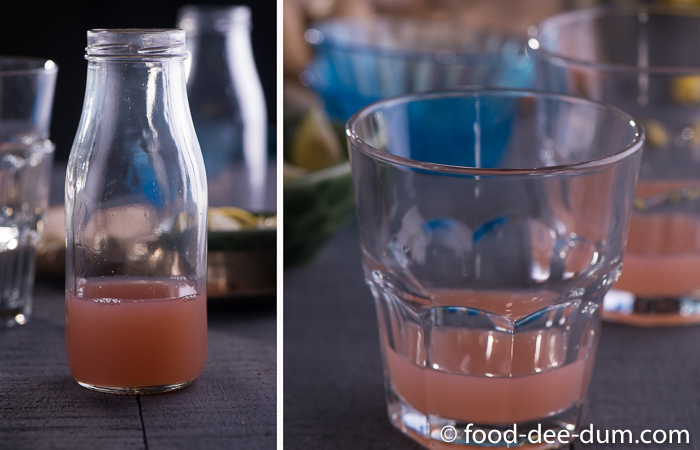 You can make this fresh in small batches or even make it as a concentrate in a larger batch, so you can mix it up easily and quickly for guests at a dinner party or high tea. It’s pretty versatile and delicious to boot. Go on. Try it today. 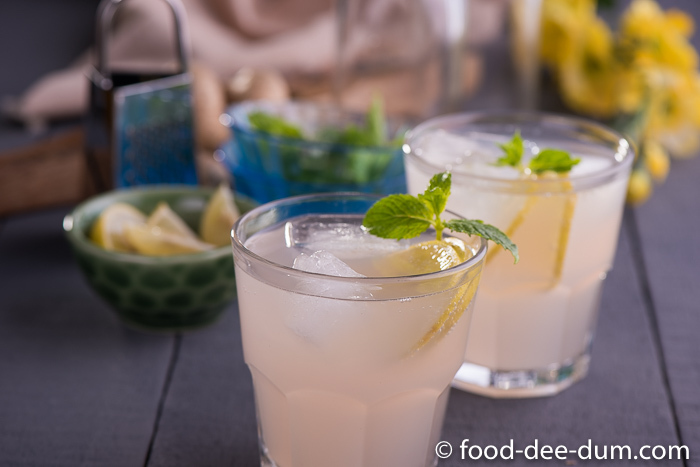 Try and use young, pinkish ginger for this because it has more juice and less fibre, which is better for the drink. If the weather’s turning a bit cold, substitute the ice and soda for hot water and a dash of brandy, and the sugar for honey – not only is it delicious, it will keep cold and flu at bay. Or so my mom says! This recipe has also appeared in Archana’s Kitchen and you can check it out here. Place the ginger and lemon juice in a small saucepan and let it sit for a minute or two, until the colour changes to pink. Add the sugar and ¼ cup water to the saucepan, place it on high heat and bring it to a boil. Lower the heat and simmer for 2-3 minutes, stirring to ensure that the sugar dissolves. Take it off the heat and allow to return to room temperature. If you're in a hurry, shake it up with a few cubes of ice in a shaker. Divide this between 4 glasses. Add ice cubes and top with soda. 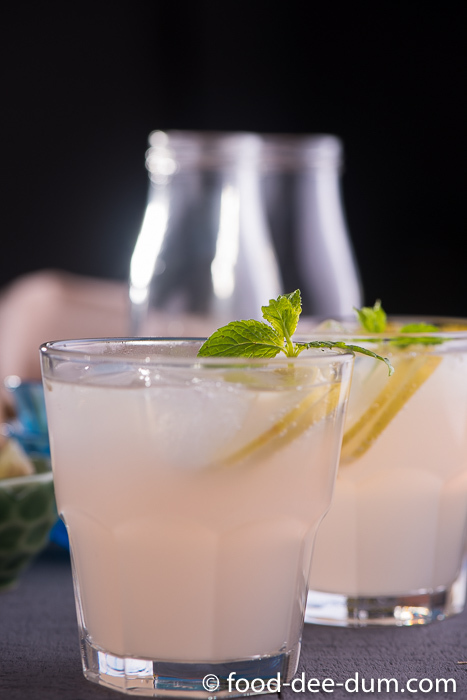 Serve garnished with lemon slices and/or mint sprigs. You can add a few slices of green apple or cucumber to the drink to make it prettier and also for more flavour.